A welcoming, active adult community with more than golf, swimming and cards! 1. Choose from various communities with different amenities. In Sun Lakes, Arizona, you can choose from five different communities including: Sun Lakes Country Club, Cottonwood Country Club, Palo Verde Country Club, Ironwood Country Club, and Oakwood Country Club. You’ll enjoy exclusive amenities unique to each including private swimming pools, golf, tennis, restaurants, beautiful views, and more. Read more about these active adult communities here. 2. Afford a nice home in a good location. Think you can’t afford to retire in Arizona? Think again. The median home value in the state is $208,400 according to recent Zillow estimates, and there are numerous choices available (our real estate agents can help you find a property that fits your budget and lifestyle). Plus, the average cost of living is about 5% less than other states. But more important, Arizona has low taxes. There is no tax on social security income and no inheritance or estate tax. Arizona offers the perfect climate for all of your favorite activities. Obviously, there are great golf courses, tennis courts and crystal clear swimming pools to enjoy. But you can also check out pickleball, cycling, fishing, hiking, water sports, exploring, and so much more! And in the Sun Lakes community, you can walk right outside your door and start enjoying many of these activities within minutes! Check out the Sun Lakes “Splash” for more information. While you can walk to several restaurants right in the Sun Lakes community (Palo Verde Restaurant, The Lounge, The Veranda at the Sun Lakes Country Club and more) and enjoy delicious food right next door or poolside, there are also a multitude of choices in the local area. With an international flare, you can sample fantastic food from all over the world year round, and visit one of the many food festivals nearby. In addition to great food, there are things you can do in Arizona you can’t do anywhere else. Visit the Desert Botanical Garden, The Phoenix Zoo, Dobbins Point, Camelback Mountain, Cactus League spring training, The Scottsdale Arabian Horse Show, The Chandler Ostrich Festival, and so much more! Check out this list of “must sees” in the area. Plus, there are many free museums and events too. 6. Play in the snow! While Arizona is known for being a dry, warm climate, you don’t have to give up snow completely! You can watch it form on the far off peaks. Or, drive to Flagstaff. Here, you can ski and enjoy the colder weather firsthand. Most important, Sun Lakes, Arizona is a melting pot of all kinds of people from around the world. You’ll feel welcome in this community of happy people there to enjoy the warm sun, beautiful views and unique activities and events. Arizona has a lot to offer. Do you want to enjoy a new, active adult lifestyle full of beautiful scenery, fantastic sunsets, warm weather and fun things to do at an affordable price? 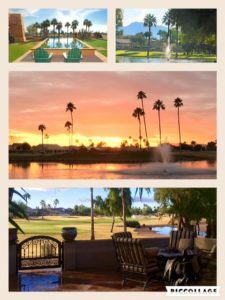 It may be time to check out Sun Lakes Arizona and all it has to offer! 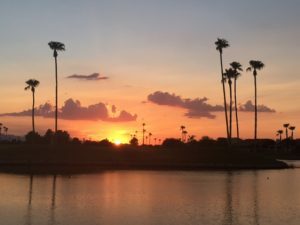 Are you ready to learn more about Sun Lakes, Arizona real estate? Click here to talk to one of our local, real-estate specialists for more information!